Your first Halloween treat has arrived: J.K. Rowling has released a brand new short story all about the character you love to hate, Dolores Umbridge. 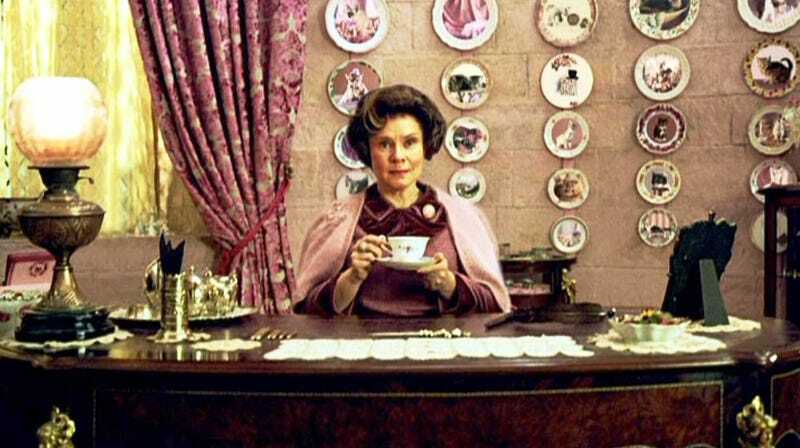 The 1,700-word feature reveals a lot about Umbridge's past. (Remember: She's based on a real person from Rowling's own schooling). A few new details about the evil teacher include that she was the daughter of a Muggle mother and wizard father. And she has a brother who was a Squib (a child born of magical parents but without any magical abilities). And if you don't have an account at Pottermore you can read the new work over at Today.com.